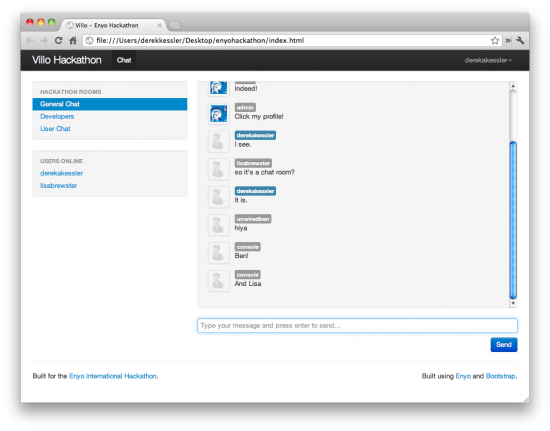 webOS developers from around the world gathered yesterday in person and online to take place in the first ever virtual Enyo hackathon. The event lasted right around six hours, including an introduction from HP's Ben Combee, a Q&A session, and judging period. Seventeen apps were submitted by the end, with the only rules that they must made with Enyo 1.0 or 2.0, use a publicly-available API, and run either on a TouchPad or in the Chrome browser. 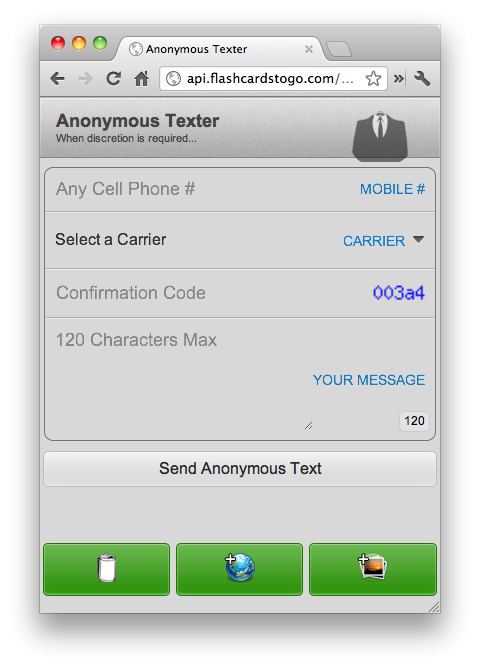 Based on the concept of the now-defunct Mojo-built Anonymous Texter app, Harris rebuilt the app entirely with Enyo - and added features like a set of easy-to-send canned messages. And it works in Chrome! The webOS copy-paste system is like practically every other OS-level copy-paste system out there: you can store one thing at a time on the clipboard. Copy something new and it goes away. Ubiquity is a clipboard app on steroids - not only does it let you store multiple clips for later use, it syncs across devices thanks to Villo services. We’re really looking forward to this one getting a public release. 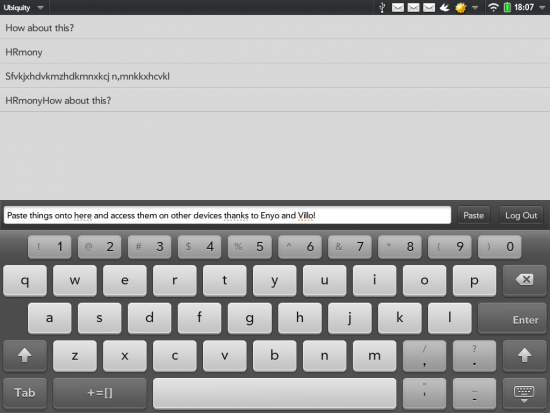 A well-established webOS developer, Jordan Gensler was one of the few developers that submitted apps made with Enyo 2.0, in spite of the incomplete set of UI widgets. His web-based Villo chat service impressed us not just with its functionality, but with its thoughtful design and impressive back-end code execution. As a judge, I was impressed by all the entries. Not all were finished as well as we're sure the developers would have liked, but that's the idea behind a hackathon. It surely impressed me, seeing as I'd need more than the five hours working time they had to figure out just how to make a webOS app, let alone build one. Then again, I'm not a developer in any capacity. So congratulations again to all the winners and thanks to everybody that participated at the meetups across the US and online and for the support offered by HP in the first of what we hope will be many events to come.